Last week, Kinnek was lucky enough to join hundreds of makers at the Craft Beverages Unlimited Midwest conference. Catering to craft brewers, winemakers and distillers, CBU Midwest featured a variety of workshops and vendors specializing in the small business sector. 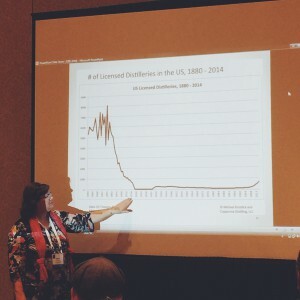 Since 2008, the craft distilling industry has been growing at a rate not seen since the pre-Prohibition era. Liquor markets continue to expand, particularly in large cities across the country fueled by deregulation and support at a federal and local level. From a community perspective, the craft distilling community is one of the most close-knit and helpful ones out there.That is to say, for discerning palates (like the taste-test craft favorite from CBU shown in the photo above) and entrepreneurs, there’s never been a better time to launch a craft distillery! Want to learn more? 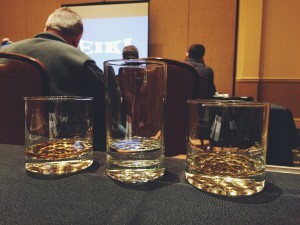 Get Kinnek's 2016 Trend Report for Distilling. Subscribe to our blog to get the latest Kinnek news.